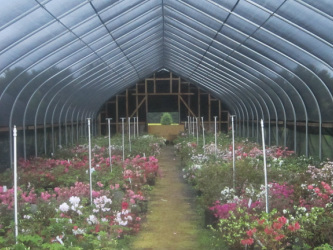 Many azalea varieties, such as Glenn Dale, Satsuki, Robin Hill, Chop Tank, periclymenoides, austrinum, etc. Also hardy varieties of rhododendrons. Sorry, we do not ship our plants.